Once the site of an isolated commuter campus, Burnaby Mountain is now home to a vibrant community of 5,000 residents and growing. 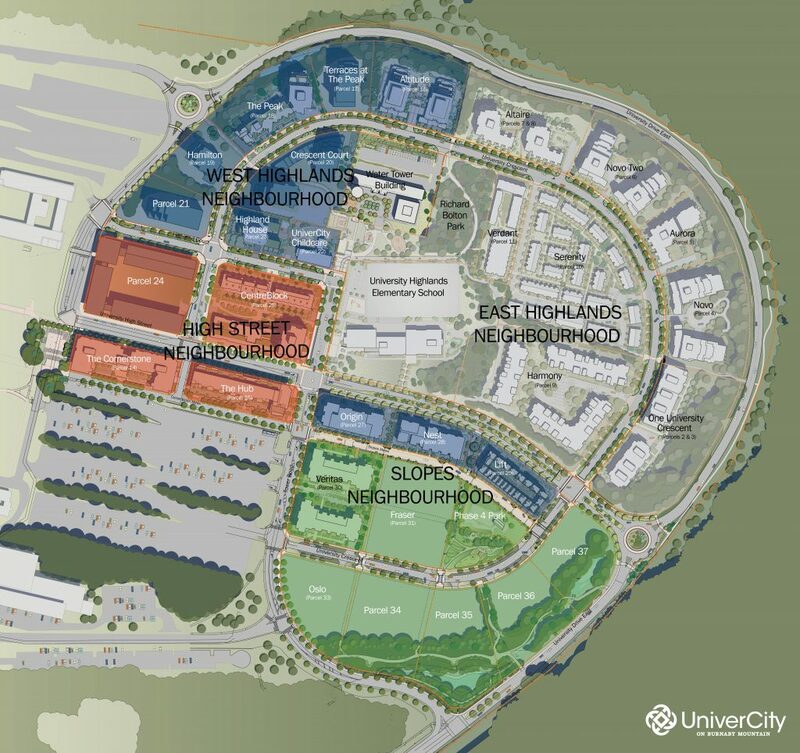 UniverCity embodies all of the amenities you’d come to expect in a complete community—shops, services, a grocery store, elementary school and daycare spaces—and is a sustainable development to boot. Many UniverCity residents walk, cycle, or take transit to work, where they can find care and schooling for their children, entertainment and continuing education for themselves, and where they enjoy doorstep access to one of the largest and most beautiful protected wilderness areas in the Metro Vancouver Region. Residents are given access to the facilities on the adjacent SFU campus including the art gallery, aquatic centre, library, health and athletic facilities, and a very well stocked bookstore. With University Highlands Elementary School, an award winning Childcare Centre, and parks—including the UniverCity Bike skills park—the community is family-friendly, as evidenced by the 50 per cent of households with children – a proportion higher than the regional average. While 45 per cent of residents have an affiliation with SFU as students, faculty or staff members, everyone else moved to the community simply because they like what UniverCity has to offer. The majority of new residents moved from elsewhere in Burnaby (35 per cent), Vancouver (22 per cent), and the Tri-Cities (13 per cent). 23 per cent UniverCity residents use transit as their primary mode of transportation – double the Metro Vancouver average. 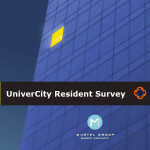 Geographically, the UniverCity community is comprised of several distinct neighborhoods: West Highlands, East Highlands, The Slopes and (University) High Street.